I have recently been on a book reviewing spree, and I am loving the fact that they're all Indian authors and they're all so talented! 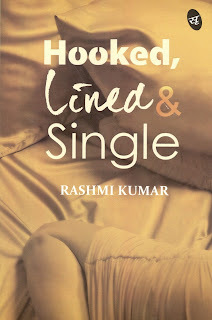 Read Rashmi Kumar's second book, Hooked, Lined & Single (Her first one is called Stilettos in the Newsroom, which I haven't read). This book is based on the main character Alafia Singh, a 30 something Christian-Hindu unmarried girl who is struggling to live peacefully in the societal pressure and stereotypes created for her. She's got friends and family who advise her from time to time and this story is about her past and how she tries her best to get herself a guy to marry, because in her mind it is set in stone that she HAS to get married asap. This book is a must read for all 25-30 year old career orientated ladies who are so confused whether to follow their heart or mind or listen to what other's have to say? The story takes a strange turn in one place..where they discuss Karma and past lives.. I am not very sure if I believe in these things, but well it makes an interesting read for sure. This is one more book where the lead character has taken to the mountains to rediscover herself. I had read Priya Kumar's The Calling where the lead character went to the mountains too. So You’re a woman, You’re 30-something and living in India? So what’s the big deal about it ? Well, if you’re all of the above and still unmarried or married or married previously and you just don’t seem to find the “right” man, you suddenly acquire a tragically special status as being cynical, demanding, impractical and chronically single or ambitious. In Hooked, Lined & Single, Alafia Singh meets a similar fate on her journey to find a husband using somewhat more traditional methods. 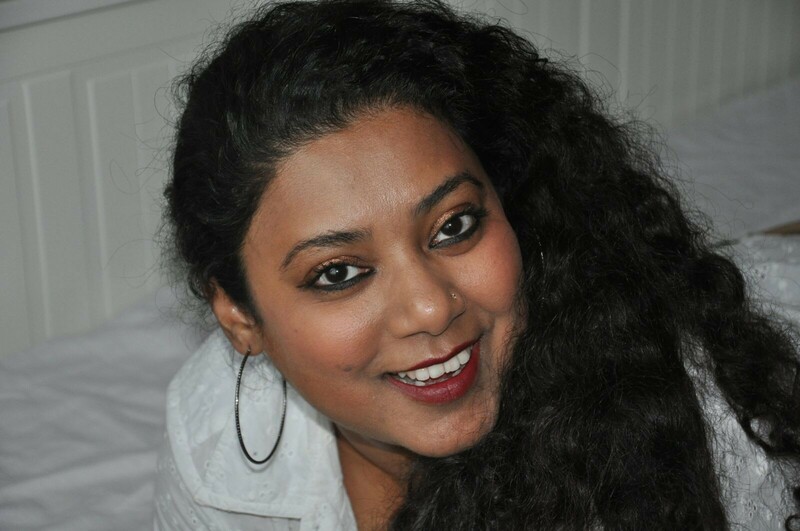 Rashmi Kumar is a professional journalist who worked for leading newspapers in India before moving to Canada in 2012. Here, she was chosen as the Writer- in- Exile in 2013 to showcase her Indian literary work to the Canadian audience. This is her second book after Stilettos in the Newsrooom. Rashmi Kumar is currently pursuing a post-graduation in Radio & Television from Northern Alberta Institute of Technology (NAIT) in Canada. Before moving to Canada she was a journalist and worked with many established newspapers and magazines in India. Her last job was with Deccan Herald as Features Editor. Other than journalism she also dabbled as a part-time Radio Jockey with 102.6 Rainbow FM and worked as a voice over artiste for several ad films. When she was in India then she devoted her Saturdays as a volunteer with an NGO - Sumaitri - An NGO working for the mentally distressed and suicidal beings. Interesting review. Thanks for sharing.